I'm right-handed, and Mr. B. is left-handed, on top of having autism. Teaching handwriting, for me, is not unlike pulling teeth from a very large, very angry, and very unhappy alligator. Often times, I'd much prefer the alligator! 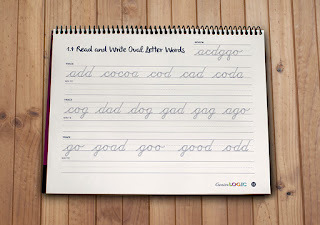 I checked into CursiveLogic and knew it would be a great program to use for Mr. B to finally get the gist of cursive writing. For this review, we received one CursiveLogic Workbook. 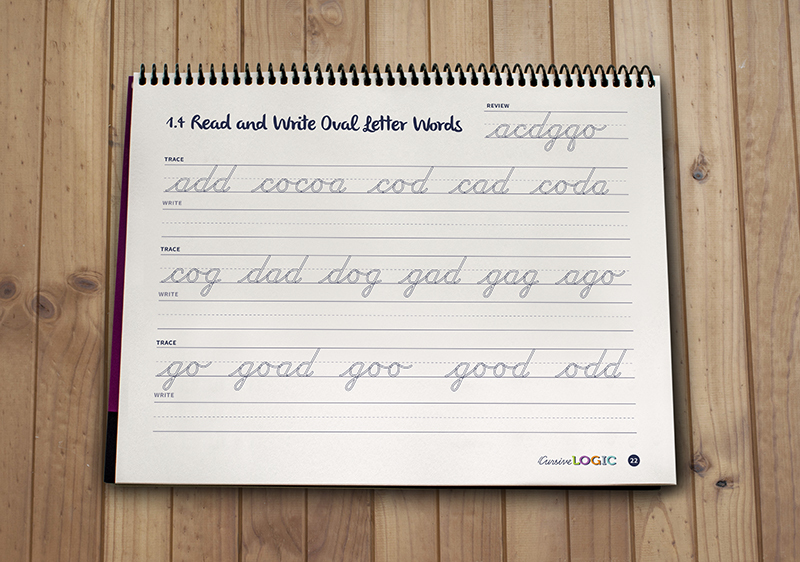 CursiveLogic is not your average cursive writing program. It is an easy to learn and logical approach that puts the shapes of the letters at center stage. 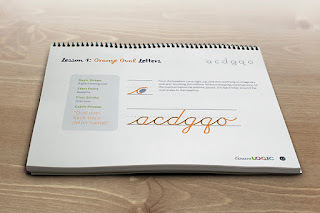 Instead of memorization, and writing each letter over and over again while progressing from A to Z, CursiveLogic groups letters by shape and strings them together so that each letter in the group reinforces the primary shape and your child is writing cursively from the start. 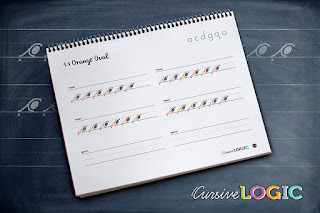 In addition to the letter shapes and letter strings, CursiveLogic uses "Theme Colors" and "Verbal Task Analysis" in the form of catch phrases to help reinforce muscle memory, and provides a mnemonic device to help students along the way. Orange Oval with catch phrase. In the world of Special Needs learning, this program is top notch. 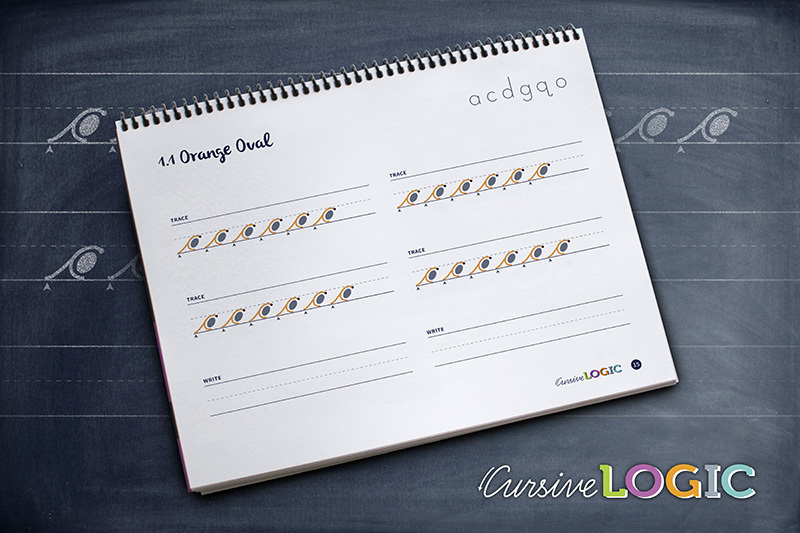 After all, the entire idea behind CursiveLogic started when a student with learning disabilities expressed a desire to learn cursive so he could sign his name. 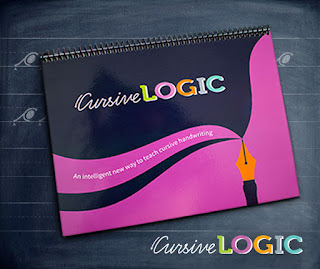 The creator of CursiveLogic then developed this program as a logical and quick solution to helping others learn cursive. By the end of the first lesson, students are already able to write REAL words! That goes a long way in boosting self esteem and confidence. It also gives students the drive they need to continue on, and keep trying. CursiveLogic also provides ample practice within the workbook, but also an email newsletter from which you can receive free practice pages. 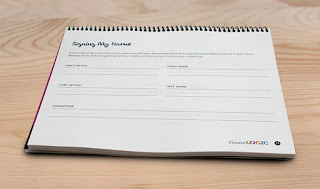 The good folks at CursiveLogic have been generous enough to allow me to share a link with you, so that you can receive some of these practice pages! You will have to enter a valid email address to receive your download. 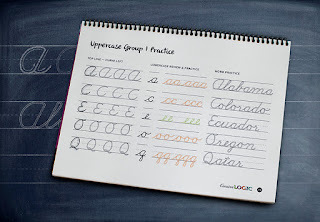 We are quite fond of the dry erase pages that allow us to practice as much as we want. 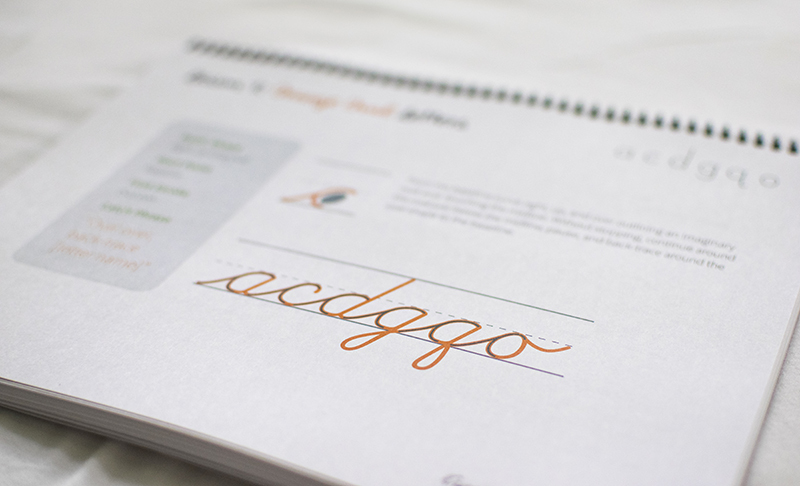 One sample of a practice page from the workbook. Cursive Logic takes the mystery and stress out of both teaching AND learning cursive writing. 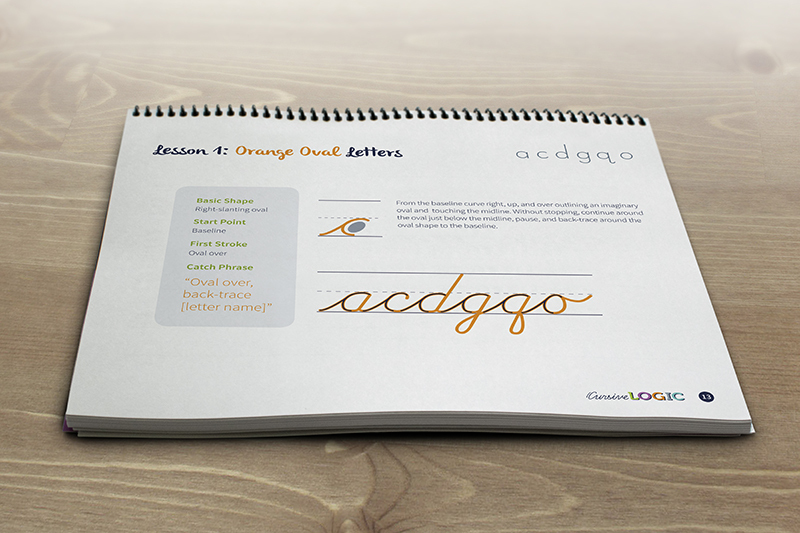 It is great for students of all ages, and a logical means of learning to write beautifully. Does CursiveLogic Pass My 4 Ingredient Test? You are not fixed on a specific schedule. CursiveLogic is not a long, drawn out program at all. It is fun. With the color coded shapes and catch phrase"chants" Mr. B really enjoyed working on it. I always recommend using any program in the order it was written. This program is really great for students of all ages. I could easily see a child as young as Kindergarten or 1st grade being able to utilize this program, as well as adults. There are no hidden fees. The workbook is all you need to learn the method and implement the method. It is probably a perfect program for kids with ADHD and autism. The catch phrases are really great for students who thrive on that sort of thing, which is right in line with students on the autism spectrum. 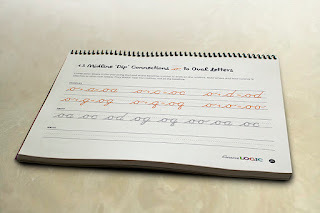 There is a sense of instant gratification that comes with being able to write real words after the first lesson, so that is a huge motivator for ADHD, as well. 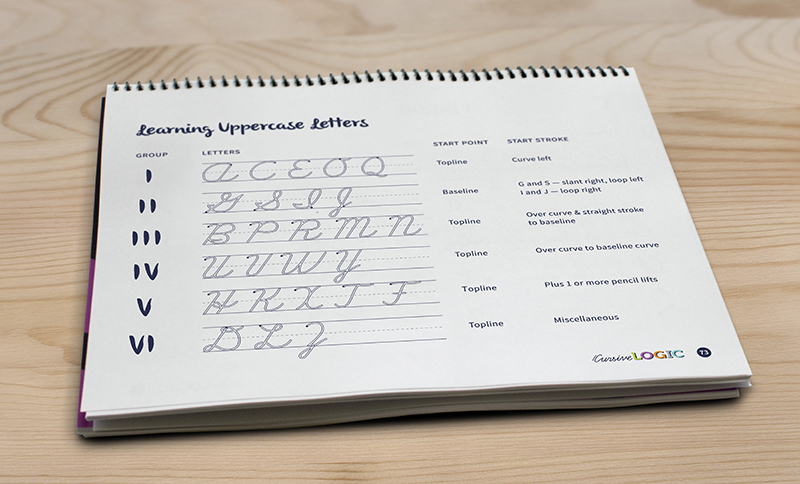 I feel cursive is a very important aspect of education. It stimulates a part of the brain not otherwise utilized with other forms of communication, and it is what out historical documents are written in. 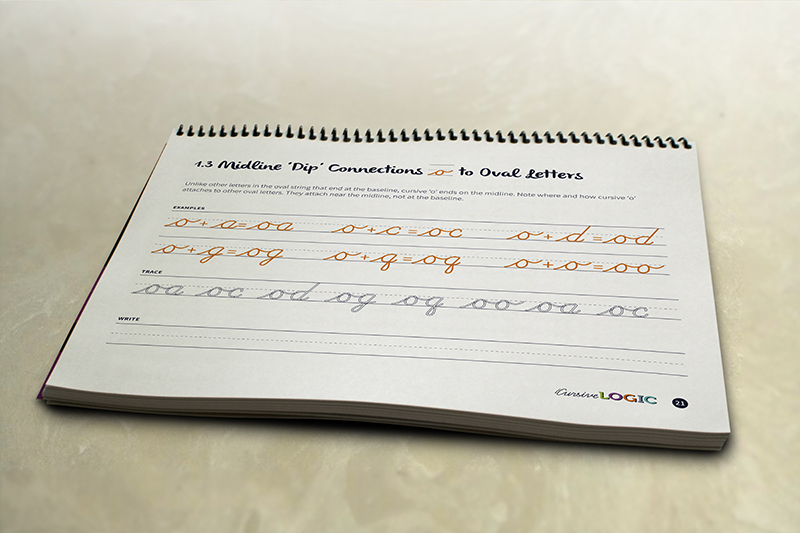 From the Constitution of the Unite States of America to old letters from Grandma, cursive is an important art to learn. And to me, it truly is an art form. 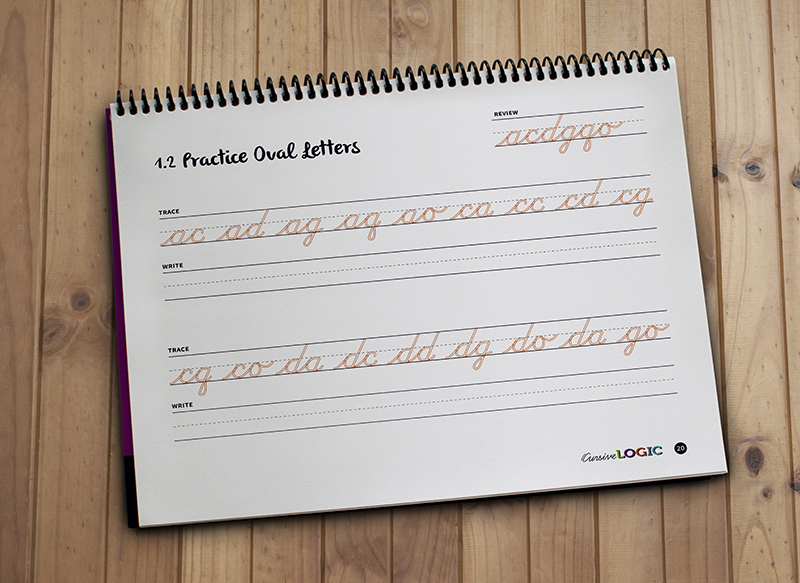 Overall, I found CursiveLogic to be an excellent tool to help students learn cursive. From a special needs aspect, it is really a great tool! Since letters are grouped by shape, with similar shaped letters taught together, it makes more sense logically for special learners. Color coding the shapes and adding in the catch phrases brings that multi-sensory aspect to the table that so many special needs students need. 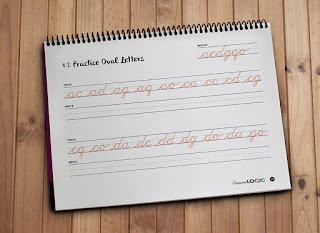 The ability to string letters from the get-go and being able to write real words after the first lesson helps to reduce frustration and boost self-confidence to foster a true desire to want to learn more. 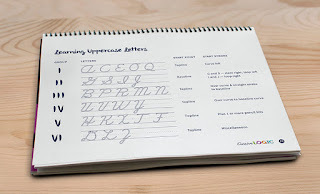 If you or your student have trouble with cursive, please give CursiveLogic and try, and see for yourself how easy this program makes learning cursive! To read more reviews on CursiveLogic, please check out the Old Schoolhouse Review Crew! Just click below.